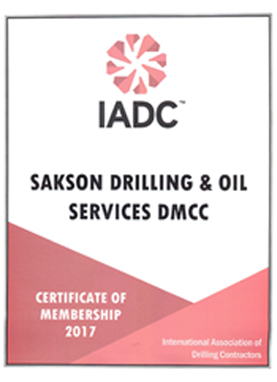 Headquartered in Dubai UAE, Sakson Drilling & Oil Services is a drilling contractor dedicated to serving the oil and gas industry. The company offers reliable, cost-effective services, along with highly skilled personnel and a young fleet of land drilling rigs. With over a decade of experience operating in challenging locations and a strong commitment to safety, the environment and local communities, Sakson provides a customised, integrated service that creates value for its clients, project stakeholders and shareholders. 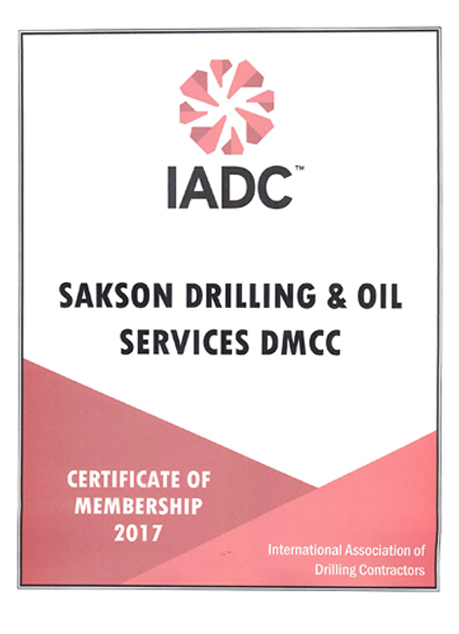 Sakson believes that by combining its quality assets, highly skilled experienced employees and integrated management system (SIMS), it will continue to provide safe, efficient operations and maintain its position as a cost-effective onshore drilling contractor. 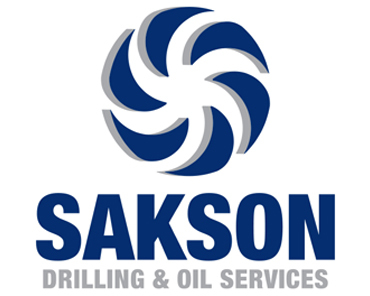 Today, Sakson enjoys a diverse portfolio of projects throughout the Middle East and Africa regions, operating currently a fleet of 8 land rigs, all of which are Sakson owned. The capacity of this fleet ranges from 1,000HP truck-mounted units to 3,000HP rigs, with the ability to reach a maximum depth of 7,000 meters. 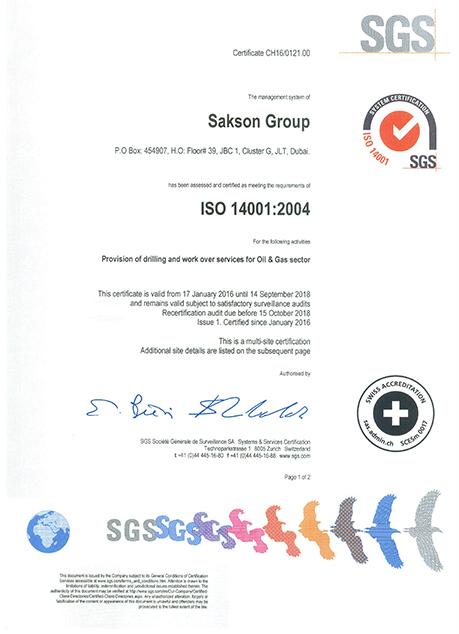 Sakson always aims to ensure an efficient service, the right technology and the correct techniques, enabling the company to maintain a close relationship with its clients, provide a truly cost-effective solution and continue to be “YOUR PARTNER OF CHOICE”. Sakson’s business strategy is simple. To provide its clients with quality equipment and products, cost-effective services, operational efficiency and fit-for-purpose applications of technological advances. Said has over 40 years of experience in the drilling industry working in various locations such as the UAE, Saudi Arabia, Egypt and Kuwait. Siad has held several leading positions for the likes of Weatherford, GBC and GlobalSantaFe and is currently heading up operations and business development in Kurdistan, Turkmenistan and Tanzania. Mohamed started in the drilling industry 38 years ago. Over the last 15 years, he has held managerial position that had a strong “technical maintenance” focus. Before joining Sakson in 2007, Mohamed worked for the likes of Global Santa Fe, Precision Drilling and Weatherford. In his current position Mohamed directs and manages all technical and maintenance related matters for the Group`s global operations. Salman has over 20 years experience in the industry, holding key managerial positions for international companies in Pakistan, Egypt and the UAE. 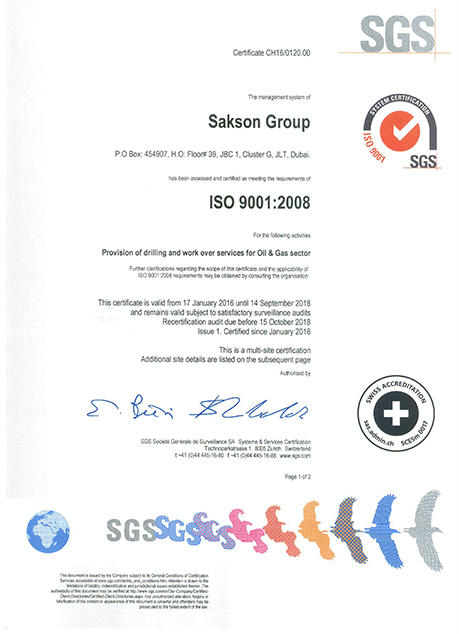 Salman has been with Sakson since 2011, he manages and supervises procurement, logistics, risk management as well as contracts, assets and inventory management. Salman is holds a Masters in Business Administration, a Major in Finance and Chartered Accountancy from Deloitte. 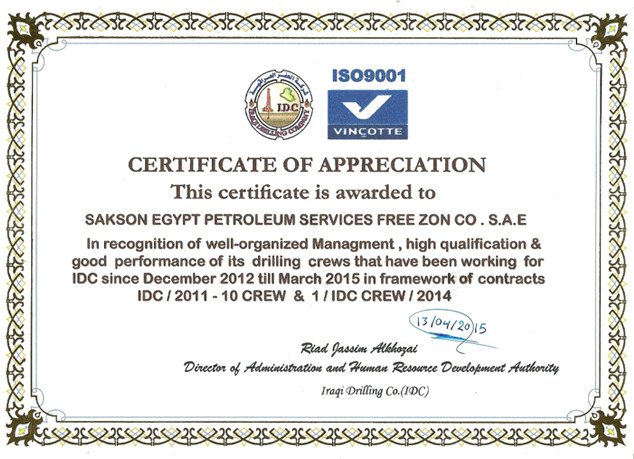 Gentlemen, Please allow me to pass on my congratulations on the achievement of one year LTI free on Sakson Rig PR3 on the Taza 2 Location. This is an admirable achievement, of which the entire Sakson organisation and the Taza support team can be proud.